I’ve been a fan of the combo of radishes, butter, and salt since I first tried them together at at NYC’s Prune forever ago, so this sandwich seemed like a sure thing. The sandwich is also just about the easiest thing in the world to put together, so it seemed to be a good way to get back on the No-sweat Cooking wagon after losing a weekend to illness (mine and our Kali girl’s) and a few pressing projects. 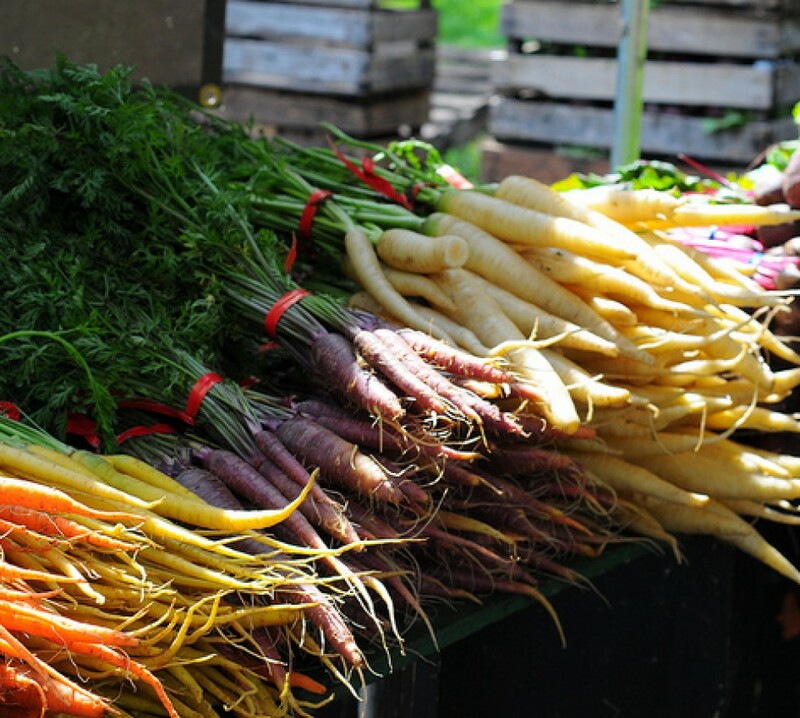 As with any dish that contains so few ingredients, quality is super important. I started with a great fresh baguette from Seven Stars Bakery, sweet and porky La Quercia Prosciutto Americano from Farmstead, farm fresh radishes, softened Kate’s butter and good coarse sea salt. 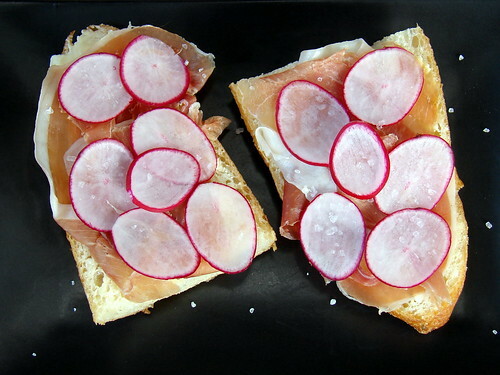 The peppery snap of the radishes was really nice against the silky prosciutto – as Mike said, “this one’s a keeper,” and I expect we’ll be enjoying these Prosciutto-Radish Sandwiches often. My goodness! 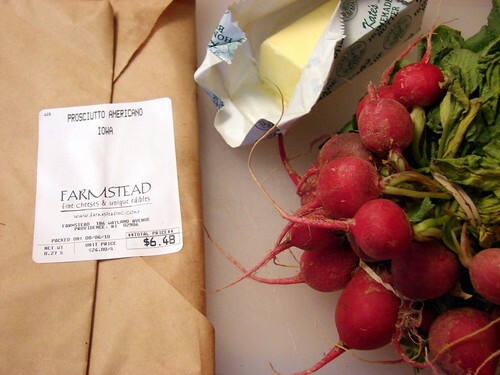 Prune is where I first discovered radishes with butter, too! The addition of prosciutto sounds sooooo yummy! Oh these look lovely, I don’t know why that I never thought to do this since I often drape prosciutto or similar over buttered bread, and do the same with radishes. Rats! Next time we pick up some radishes I know their fate. More importantly I hope you and Kali are doing better! I didn’t realize she was having more issues. Poor baby. oh man, Ive been eating radishes with Kates butter and salt since you first posted them on here this summer, and now I eat it for lunch at least once a week, with added prosciutto I am doomed. Such an interesting combination! I’m excited to try it soon. Seems like such an easy lunch.